The four-month-long agitation against the proposed Indian Oil Corporation at Kochi turned violent as police lathi charged the protestors, including women and children. 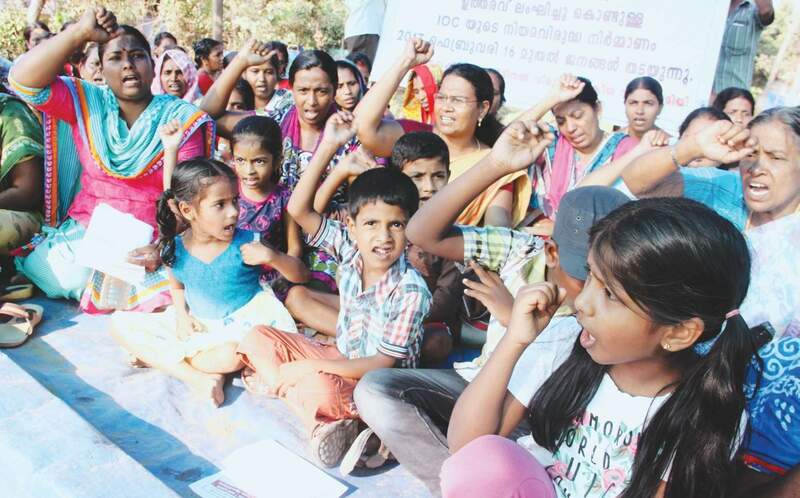 KOCHI: The ongoing stir by local residents against IOC's LPG terminal at Puthuvype turned violent after ten people were seriously injured on Sunday when police resorted to lathicharge protestors, including women and children. The injured were shifted to the Ernakulam General Hospital and Kalamassery Govt Medical College Hospital. A section of local residents have been agitating against the proposed IOC terminal for the past four months. Meanwhile, the Congress has called for a dawn-to-dusk hartal in Puthuvype while the Welfare Party of India declared a hartal in Ernakulam district, both on Monday. According to police officers, the protesters attempted to barge into the plant and pelted stones at the site, which had received clearance from the National Green Tribunal (NGT). The Kerala High Court had also given an order against disruption of work. Ernakulam district collector K Mohammed Y Safirulla, in an order last week, had asked the police to add a security cover to the LPG terminal site. Following this, they resorted to lathi charge in order to disperse the agitators. As many as 100 protesters were taken into custody and shifted from the spot, including women. The arrested protesters included Aam Aadmi Party (AAP) Kerala convener C R Neelakandan. A large posse of police have been deployed in the area to avoid any untoward incidents. Prior to this, 204 protesters were arrested and removed from Puthuvype and were booked under sections 188, 283, 143, 145 147 and 149 of the IPC. They were later released on bail. Chief minister Pinarayi Vijayan has called a meeting of all stakeholders at his office in Thiruvanthapuram to discuss the issue, and reach an amicable solution. Ernakulam district collector Safirulla, in a statement here, said IOC has informed t deferring the work in light of CM Vijayan’s meeting on Wednesday. "Work will be deferred till then to facilitate the talks. As the ground for further protest does not exist, the protesters are asked to immediately withdraw," the collector said.